Where do you look for glasses? On a shelf? or on your face? Sam's things are in a heap. Time to tidy up. How do you decide which pile to put that zebra in? Is it striped? Is it an animal? Is it black and white? Part graphic novel and all wild adventure! Addy and Wylder fall into the pages of Uncle Viminy's comic book... and soon mess up the plot in a BIG way. My story is called The New World. by great North American writers. Four new board books dress up the seasons! Annie's mother can speak to the dead. During the 1800’s, children were particularly vulnerable in the world at large. In much of Europe, the mortality rate among children of the poor was as high as 90%, and there were few social nets for those without parents. The establishment of the extraordinary Foundling Hospital by Thomas Coram, was, in its way, a revolution. Sisters move into the apartment above a funeral parlour. 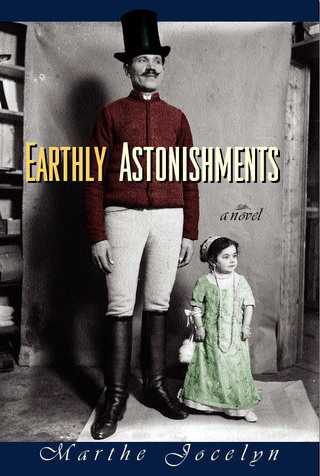 When their piano teacher dies, their curiosity takes over. . .
winner of the TD Canadian Childrens Literature Award for Most Distinguished Book of the Year! This story of a fledgling writer and awakening activist in 1901 was inspired by diaries I found in the attic of my grandmother's house.. The reaction to my art that I like best is when a child tries to pick something up from the page. In A Day With Nellie, this could happen over and over, as each part of the toddler's day is illustrated in bright and humorous collage. Hannah twirls, jumps, plays, and of course, gets dressed, with her red sneakers the one aspect of her fashion statement that never changes. Seven days, seven colours, seven dresses. 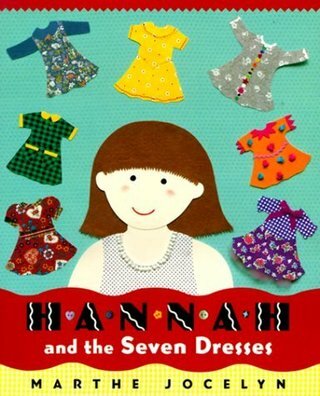 What will Hannah wear today? This book is packed with things that teachers love, like primary math concepts and problem-solving. But it also has beautiful pictures that were REALLY hard to make! For instance, look closely at those popsicle sticks. Only on one page are they real - all the others are hand-carved to fit the scale of the picture. Look again! I wanted to write a 'dime novel', a page-turner full of adventure. I like the review (Riverbank Review) that says: "In true Dickensian fashion, Jocelyn makes Josephine comfortable in (her) new life, then resuscitates sundry villains to complicate the melodrama... Jocelyn's novel performs a delicate balancing act, maintaining a moral grounding in spite of a sensationalistic plot." 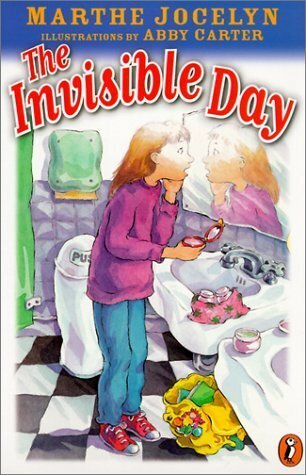 The Invisible Day was my very first book. When my older daughter was nine years old, she began to yearn for more mobility in the big city. Just as Billie Stoner's mother does in the book, I was still walking my daughter to school and anywhere else she needed to go. Kids that age in New York don't get to be alone very often. "You'd have to be invisible before I'd let you walk around by yourself," I told her. And there was the IDEA for a story. "Fans of The Invisible Day will love being reunited with Marthe Jocelyn's unforgettable case of zany characters and Abby Carter's quirky illustrations." My daughter, Nell, has always longed for a puppy, or even a pet of a less demanding nature. But a small apartment in New York City is really not a good home for a dog. The Invisible Harry was written to prove that, though of course I had to give it a happy ending! What do you do when your sworn enemy becomes invisible and only you know how to fix her? Do you leave her invisible? Or do you help her, only to have her wreak havoc on you again? And if you do come to your enemy's aid, does that make her your friend? I wanted to write a story about kids who have to figure out how to get along, how to rely on each other, even if they're not really friends. And having a little messy magic always helps stir up trouble. 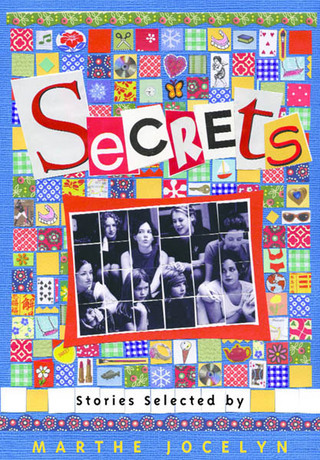 Don't you love hearing secrets? to look after an invisible puppy?